Immaculate Conception School, Erected and opened in 1892, accommodates 500 pupils. Immaculate Conception Church, Erected 1883. 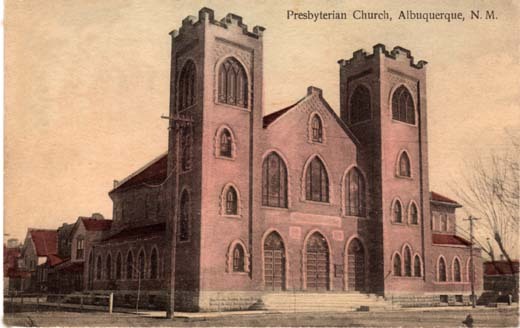 Enlarged 1908. 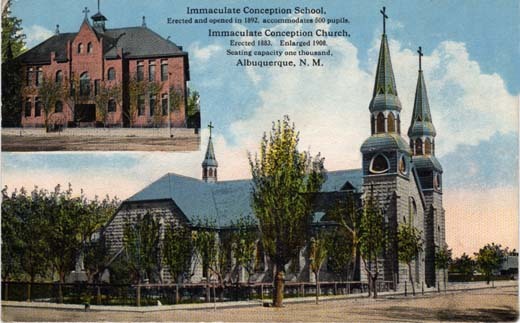 Seating capacity one thousand, Albuquerque, N. M.
Presbyterian Church, Albuquerque, N. M.